Unique auto-closing latch system for ease and convenience of operation. 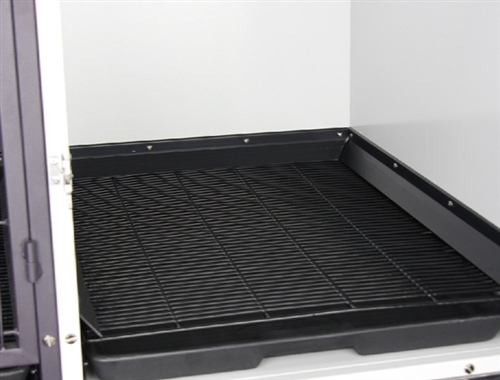 Plastic dip coated, narrow tolerance heavy duty floor grid; provides a safe and long lasting surface. 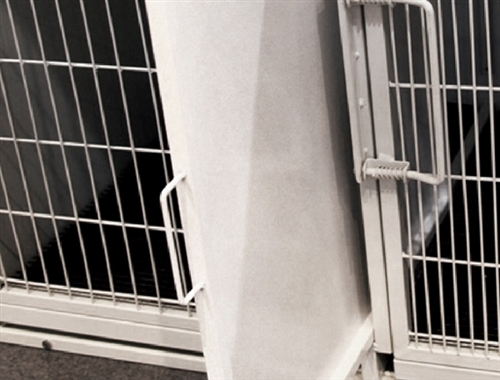 Add mobility and versatility with a frame and large cage dividers. 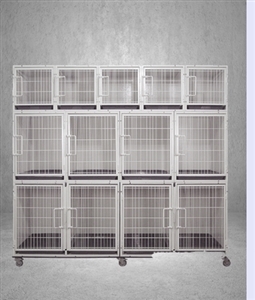 Cages are made of heavy-duty 20 gauge zinc plated steel with electrostatically powder coated exterior and interior. Off-white color matches any decor and always look attractive. 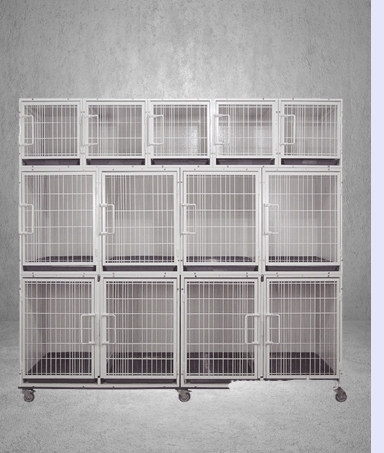 Mobile platforms are the perfect solution for when kennel banks need to be moved or rearranged. They are equipped with 4" heavy duty zinc plated casters which rotate 360° for easy maneuverability. 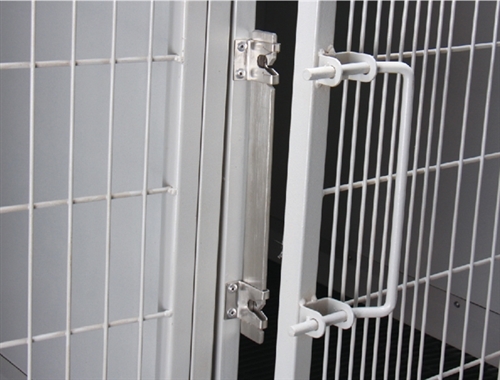 The front wheels lock, allowing the assembled kennel to remain stationary. Plastic liquid guide plates have been added to prevent liquid waste leakage along the side walls. The tray is formed from plastic blow mold. Nice polished, no sharp edge at all.